 Seasonal Sites | The FUN starts when you pull into the station! Do you find yourself returning to the same campground time and time again? Do you ask for the same spot because you prefer one location over another? Are you limited to the amount you can spend on vacations? Do you wish you didn’t have to pack up and go home at the end of a fun weekend? A lot fee of $2,995 per year plus 5.5% sales tax includes water, sewer, garbage and electric. It also entitles you to use of all the campground’s common areas. The season runs (approximately April 15-October 15). 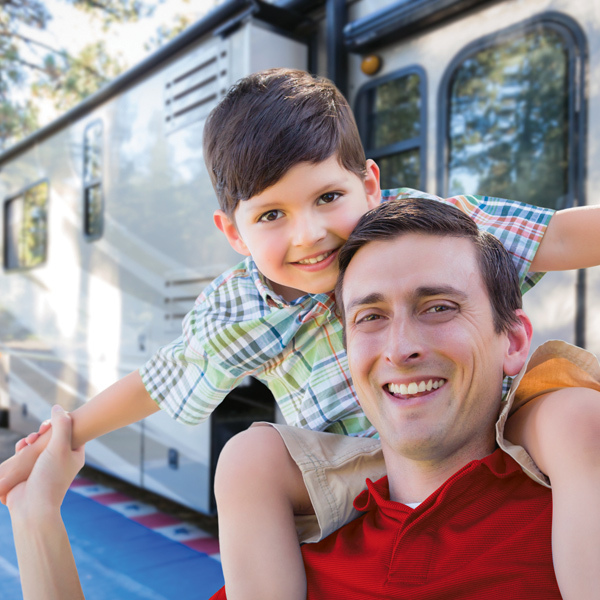 If you prefer to leave your camper over the winter (Oct. 15 – April 15), the storage fee is $250 plus 5.5% tax. 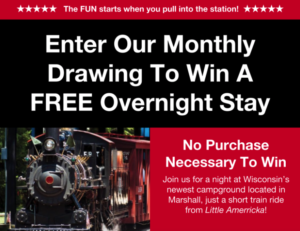 For more details, including site availability, call the Whistle Stop office 608-655-3080.